Economical, lightweight tubular steel frame with chrome plated grids. Unit rolls easily to any location on twin wheel casters (2 lock). 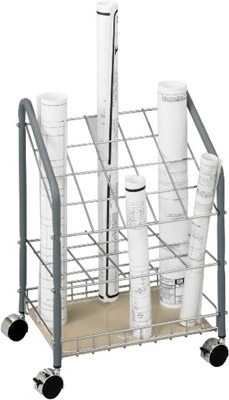 Square tube design provides easy access and removal of materials. Unit contains twenty 2-3/4" x 2-3/4" openings. Fits Roll diameter of 2-3/4".